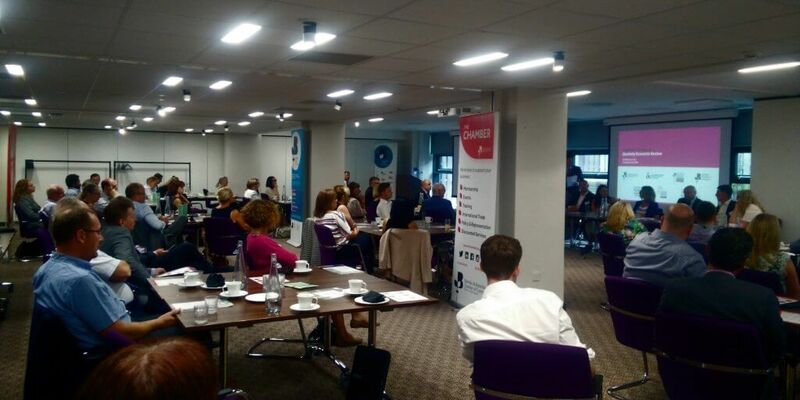 Wellness and stress in the workplace was high on the agenda at the July Sheffield City Region Review at Inox today. We feel more stressed at work and at home but why is this? We have the greatest ever variety of entertainment and shiny new toys and it is difficult to be bored so what’s the problem? We are always switched on. We are always one click away from work. We are never out of arm’s reach of our phones, especially if we use them as an alarm clock. The phone has snuck into our bedroom. As business owners we must lead from front. Be impossible to contact for some part of the day. Encourage your staff to do the same. Small positive steps will make a difference. Your local role model will influence those near you. We recognise Peter’s principle where an employee gets a bigger salary by promotion to management. But this is likely to be beyond their best ability. The mission statement and your values at business will help your employees to tell what success in their role means. There is good news out there. Openness on difficult issues like mental illness by public figures opens the door to discussion. Initiation of change is easy. Sustained change is difficult. But we can be optimistic because grass roots groundswell will always win over top down imposition. Just look at the success, growth and popularity of Fun Runs, Park Runs and local Half Marathons.